Are you preparing any special promotions for holiday shopping season? It’s hard to imagine any business that doesn’t take advantage of the influx of potential new customers. 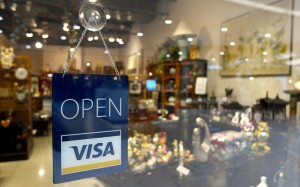 In fact, there many businesses that depend on holiday shopping season to keep them afloat throughout the year. The goal is to attract new customers during the holiday that may come back after the New Year. The best approach to that is to make sure that your staff is friendly, you’re fully stocked and your business is free of clutter. That’s a lot to take on but thankfully, there’s help especially with the clutter. You might want to think about setting up regular junk removal sessions with Junk King Seattle to take care of that task. Junk King Seattle will provide you with a kind of satellite work crew. This will be a two-man moving team that will be assigned for your regular pickups. It’s a team that works fast and is very friendly. All you need to do is show them the things you want taken away and they will be gone in a matter of minutes. This is also something you can delegate to your staff to supervise. The Junk King crews don’t need a lot of instructions. They also understand how important it is not to disrupt your business. That’s why they will always work around your schedule. If it’s more convenient to show up after hours or before the day begins, then that’s what you can arrange. Because you are going to set up regular appointments, Junk King can make it a priority. You could be the first pickup of the day. Everything that you’re tossing out will also have the opportunity to be recycled. Junk King Seattle has always operated with an eco-friendly disposal philosophy. The never want to see anything go to a landfill. Even if dropping off to a charity or recycling facility takes them out the way, then they will happily go the extra mile. Once you get into the routine of regular appointments with Junk King Seattle, you’ll hardly notice them at all. What you will notice is that you never have a backup of rubbish. Make sure your business is always junk free with regular appointments from Junk King Seattle. This entry was posted in Seattle Junk Removal and tagged business, clutter, Junk King, junk removal on October 23, 2017 by Junk King. Last updated October 23, 2017 .